There are 1 Memory Care Facility in the Athens area. To help you with your search, browse the 1 review below for memory care facilities in Athens. Better rated regions include Dacula with an average rating of 5.0 out of 5 stars. Caring.com has helped thousands of families find high-quality senior care. To speak with one of our Family Advisors about memory care options and costs in Athens, call (855) 863-8283. Home to the University of Georgia, Athens is a college town in Clarke County with approximately 127,064 people; close to 11 percent of whom are over the age of 65. For seniors diagnosed with Alzheimer’s disease and other types of dementia, there are six memory care facilities in the area. These facilities are referred to as memory care units that are part of assisted living facilities and personal care homes. Both types of facilities provide assistance with daily living tasks and offer therapeutic activities, such as music and dancing. Like most cities in the southeast part of the United States, the climate in Athens, Georgia, offers short and mild winters, which is ideal for seniors who enjoy the outdoors. Athens has a cost of living average of 93, which is lower than both the state and the national average of 100. Seniors on a budget may find it easier to manage money in Athens, which makes it more conducive to pay for memory care and other daily living necessities. Crime is ranked on a scale from one (low) to 100 (high). In Athens, violent crime is 28.9, which is slightly lower than the national average of 31.1. Property crime is ranked 52.1, which is somewhat higher than the national average of 38.1. Seniors may not feel safe when living in the city. Extra care should be taken on outings or when taking care of necessary errands. Georgia offers tax breaks for seniors, which makes Athens one of the top tax-friendly places for seniors to retire. Georgia does not tax Social Security retirement benefits, and seniors can enjoy a deduction of $65,000 per person on all types of retirement income for those 64 or older. There is also no income tax up to $4,000, and there is no inheritance or estate tax. The city of Athens is home to world-class medical facilities, including those specializing in brain health and dementia care such as the Piedmont Athens Regional Medical Center, St Mary’s Health Care System and the Landmark Hospital of Athens, in the event of medical emergencies or illness. Memory Care costs in Athens start around $0 per month on average, while the nationwide average cost of memory care is $4,799 per month. It’s important to note that memory care rates in Athens and the surrounding suburbs can vary widely based on factors such as location, the level of care needed, apartment size and the types of amenities offered at each community. To see a list of free memory care resources in Athens, please visit our Assisted Living in Georgia page. 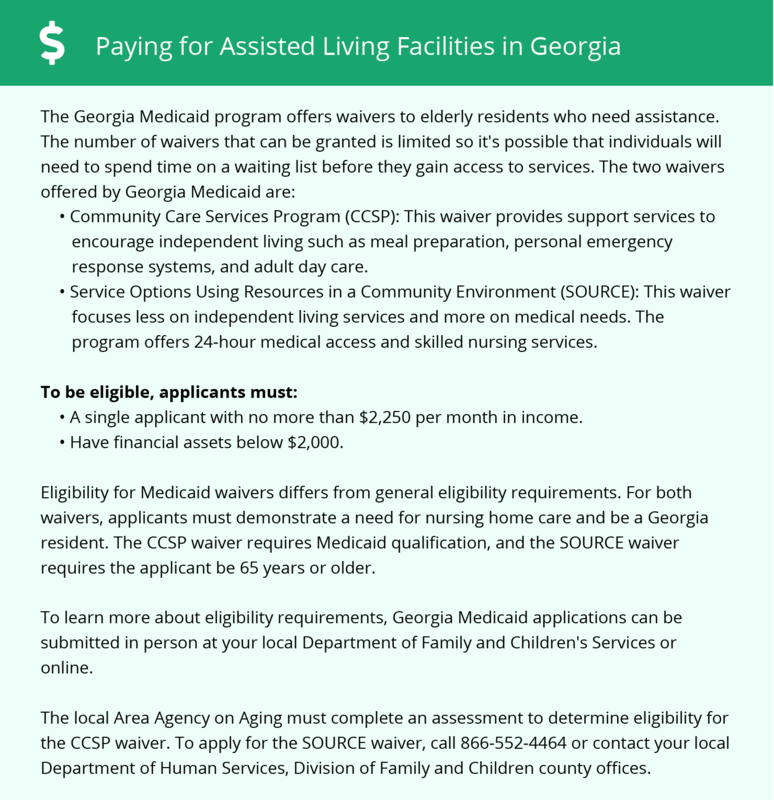 Athens-area assisted living communities must adhere to the comprehensive set of state laws and regulations that all assisted living communities in Georgia are required to follow. Visit our Memory Care in Georgia page for more information about these laws.